Aldactone 100mg is a potassium-sparing diuretic. It helps treat patients Hyperaldosteronism, a condition where the body produces too much aldosterone hormone responsible for a very low level of potassium in the blood. This medication also prevents the body from absorbing too much salt. It is also used in treating high blood pressure, prevent heart attacks and stroke. It also treats a condition such as an edema. Aldactone is a potassium-sparing diuretic. It helps treat patients Hyperaldosteronism, a condition where the body produces too much aldosterone hormone responsible for a very low level of potassium in the blood. This medication also prevents the body from absorbing too much salt. It is also used in treating high blood pressure, prevent heart attacks and stroke. It also treats a condition such as an edema. Amlopres + Valzar is a prescription medication against high blood pressure. It is a combination drug that works by relaxing the blood vessels to help lower the blood pressure. This medication keeps the blood vessel in a relaxed state. Amlopres + Valzar – 5/160 mg is also used to prevent stroke, heart and kidney problems. Amlopres 10mg is a heart and blood pressure medication. It contains Amlodipine Besylate as an active ingredient. Amlopres 10 mg helps maintain optimal blood pressure levels in a person’s body. It is also effective in reducing the risk of serious conditions like heart attacks, stroke, and even death. It can also lower the blood pressure of patients who suffer from hypertension. This medicine should be taken in conjunction with a proper diet and regular exercise. Amlopres 2.5mg (Amlodipine Besilate) is a heart and blood pressure medication. It contains Amlodipine Besylate as an active ingredient. Amlopres 10 mg helps maintain optimal blood pressure levels in a person’s body. It is also effective in reducing the risk of serious conditions like heart attacks, stroke, and even death. It can also lower the blood pressure of patients who suffer from hypertension. This medicine should be taken in conjunction with a proper diet and regular exercise. 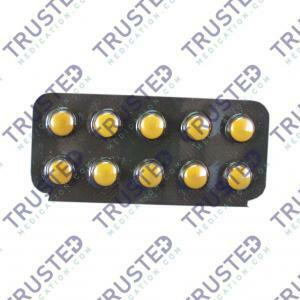 You can buy Amlodipine Besilate here. Amlopres 5mg is a heart and blood pressure medication. It can also lower the blood pressure of patients who suffers from hypertension thereby reducing the risk of serious conditions like heart attacks, stroke, and even death. This medicine should be taken in conjunction with a proper diet and regular exercise. Amlopres AT 5+50mg is a combination drug for the treatment of high blood pressure. It also prevents stroke, kidney problems, heart attack and certain heart rhythm problems. Amlopres AT – 5+50 mg widens the blood vessels allowing more blood and oxygen into the heart. This reduces the risk of having heart attack, stroke, angina pectoris and other heart rhythm problems. Amlopres AT – 5+50 mg is best taken with proper diet and exercise. 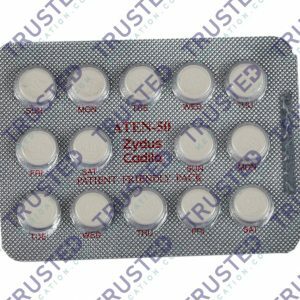 Aten 100mg is an oral prescription medication. It is used to treat high blood pressure and chest pain or angina. It is also used to prevent heart attack and heart damage after a heart surgery. Aten- 100 mg is used alone or in conjunction with other drugs in treating high blood pressure. This drug is also taken along with proper diet and exercise. Aten 25mg (Atenolol) is a beta-blocker drug. It is used alone or in conjunction with other drugs in treating high blood pressure. It is also used to prevent chest pain or angina and improve survival after a heart attack. It is also used for the problems that are related to blood vessels and heart. This drug is taken along with proper diet and exercise. You can buy Atenolol here. Atorlip EZ 20+10mg is a combination prescription medication. It is prescribed by doctors for the reduction of bad cholesterol level in the body responsible for several cardiovascular ailments such as stroke, heart attack and atherosclerosis. Atorlip F 10+145mg is an oral prescription medication. It is mainly prescribed for patients with Dyslipidemia, a condition where the blood has unhealthy levels of one or more kind of lipids. 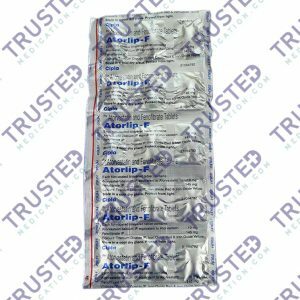 Atorlip F – 10+145mg is a combination medication. It is used to lower the LDL or the low density lipoprotein in the blood (bad cholesterol). Patients with a high level of bad cholesterol are at risk from various cardiovascular conditions such as heart attack, stroke, atherosclerosis and myocardial infarction. Atorlip F – 10+145mg also increases the HDL or the high density lipoprotein (good cholesterol) in the blood as it lowers the bad cholesterol. Atorva is an oral prescription drug for people with bad cholesterol level. It also reduces the level of triglycerides in the blood. It is also used to decrease your risk for stroke, chest pain and heart attack. Exercise and diet are recommended while taking the medicine. Atorva 80mg is an oral prescription drug for people with bad cholesterol level. It also reduces the level of triglycerides in the blood. It is also used to decrease your risk for stroke, chest pain and heart attack. Exercise and diet are recommended while taking the medicine. Calaptin 40mg tablet is used for the treatment of high blood pressure. It can also treat other heart problems such as angina pectoris and irregular heartbeat. Calaptin 40mg is used with proper diet and exercise.